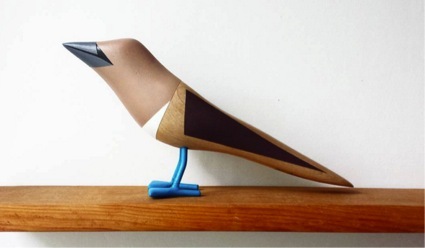 Blue-footed booby by Davit Nava, made out of post-natural-disaster wood. The blue-footed booby (Sula nebouxii) is an amazing bird. Their peculiar feet are brilliant blue, just as they would be wearing blue socks. Their feet are blue because of their diet; mainly fish. The healthier they are, the more brilliant their blue feet are. However, habitat loss and egg collecting currently threaten the species and the population is declining. 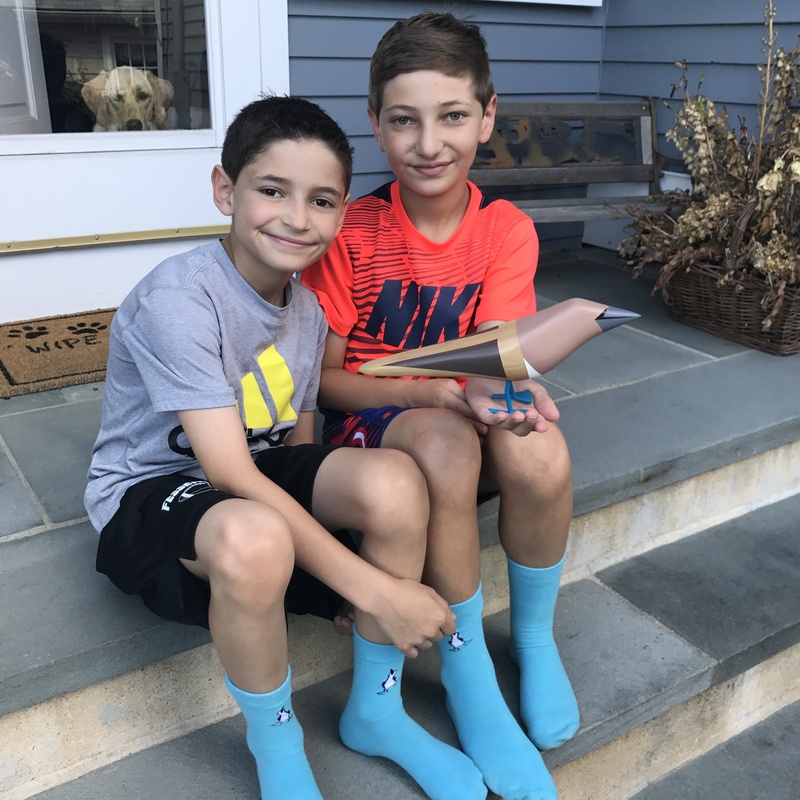 Two young entrepreneurs that decided to raise money and awareness about the blue-footed booby are Will and Matty, two brothers from Arlington, Massachusetts, USA. Last April Will and his younger brother Matthew started the Blue Feet Foundation. 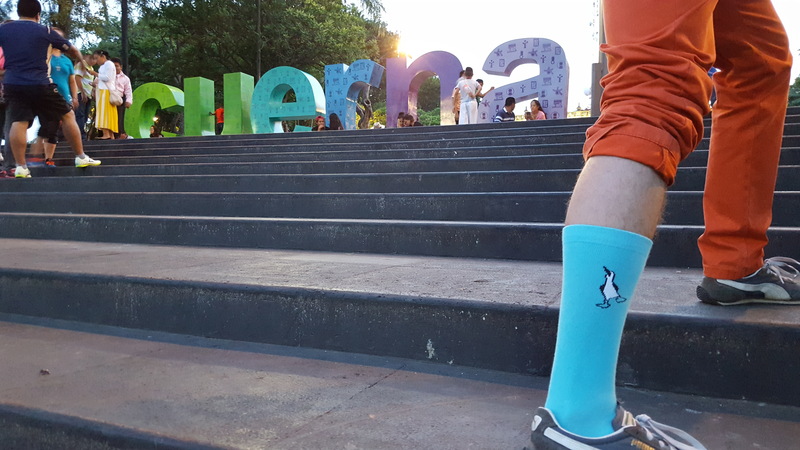 Davit Nava in his blue-footed booby socks, downtown Cuernavaca, Mexico. We connected through Instagram a few weeks ago through a piece I made and posted – a blue-footed booby made out of post-natural-disaster wood. The wooden booby now has a new home with Will and Matt and I have socks that match the birds’ famous feet. Two brothers want to save boobies turning your feet bright blue, The Audubon Society, 19 July 2017. Please feel free to contact me by email if you are interested in buying my artwork or for any questions you may have concerning my work. You can also find my pieces for sale and exhibited in the following galleries and stores in Mexico, listed on the page Shop. Matty and Will Gladstone, founders of the Blue Feet Foundation with my blue-footed booby made out of post-natural-disaster wood. Photo: Courtesy of Will Gladstone.